A quote by Dr. Martin Luther King Jr etched in the marble of the MLK Memorial on the banks of the Tidal Basin in Washington DC. 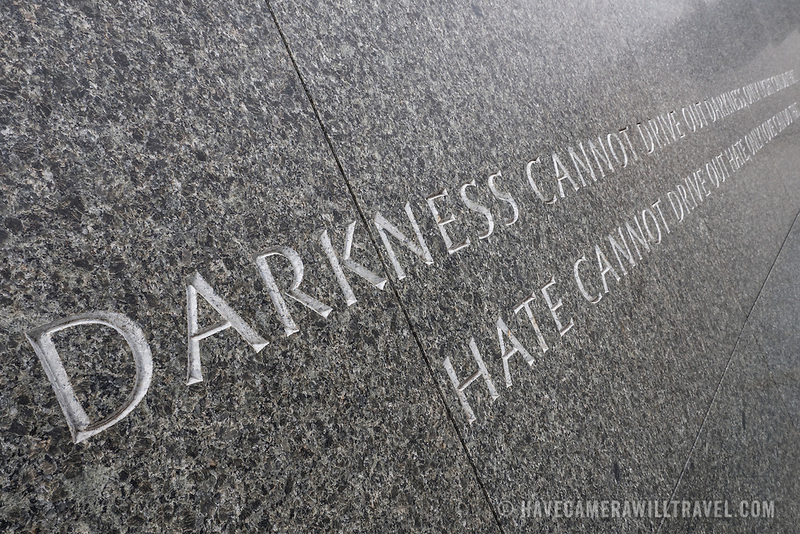 The full quote reads: "Darkness cannot drive out darkness; only light can do that. Hate cannot drive out hate; only love can do that." The quote is taken from his 1963 book Strength to Love.